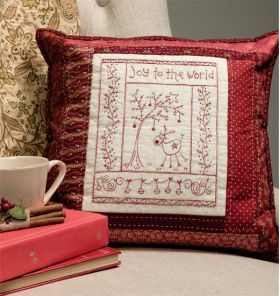 Gail Pan's whimsical, cheerful embroidery style is incredibly easy to re-create, whether you're an experienced stitcher or have never picked up a needle. 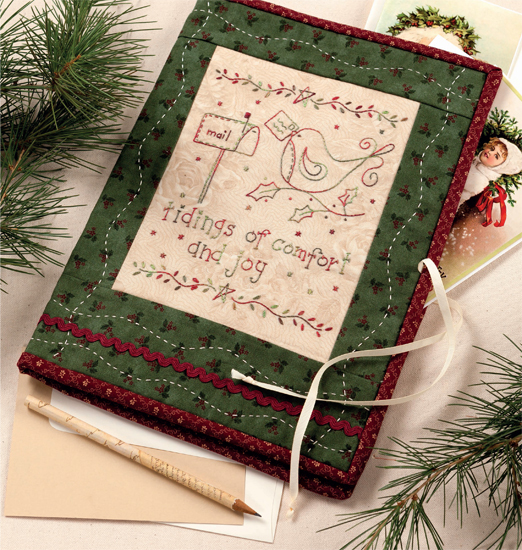 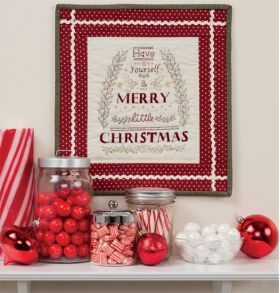 Finishing is a breeze with projects that are so portable and quick you can stitch while traveling, socializing, or even waiting for an appointment. I would like this to get me back in hand embroidery. A wonderful book for immersing yourself in the holiday spirit. Easy to sew embroidery designs for experienced stitchers or complete beginners. Decorate your home and make unique gifts using the seventeen festive designs featuring reindeer, gingerbread men, angels and Christmas trees. 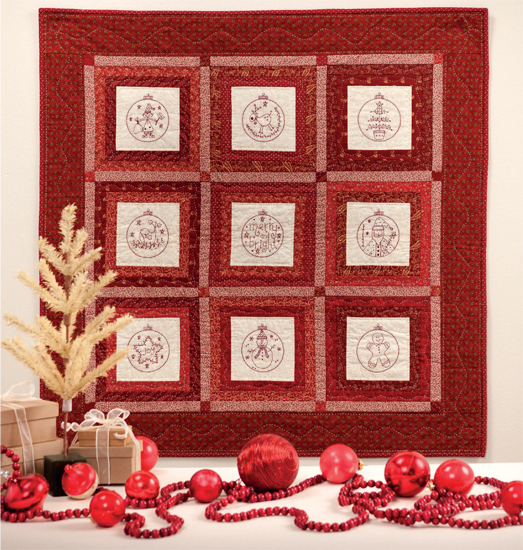 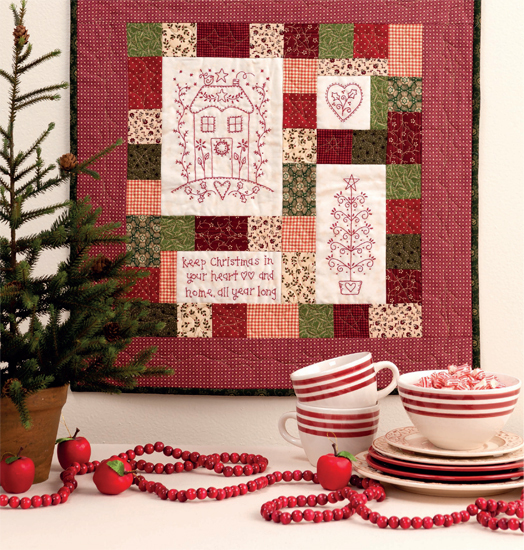 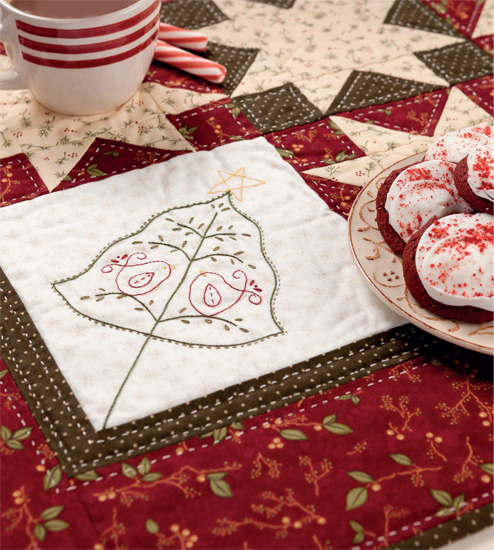 Be confident in altering quilt sizes, changing colours and words, or mixing and matching designs for family and friends. 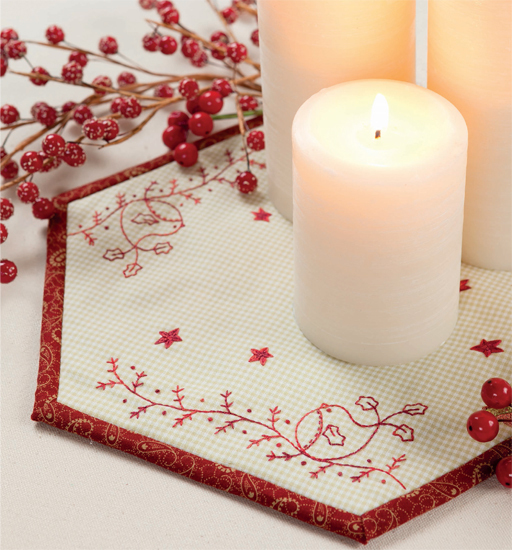 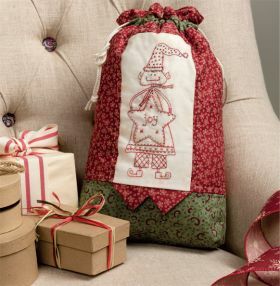 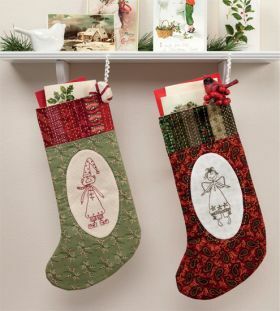 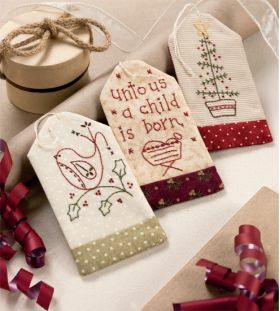 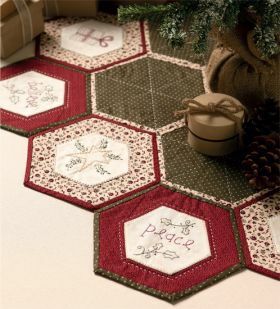 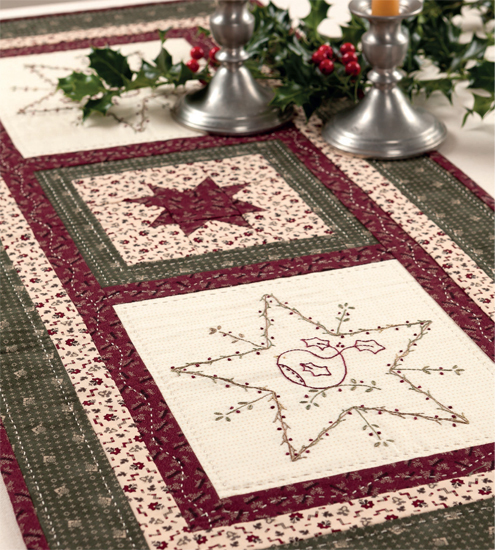 Personalise gift tags and Christmas stockings, create a "Joy to the World" pillow, make a table runner with stars and birds, a mini Christmas sack and a tree skirt using hexagons. 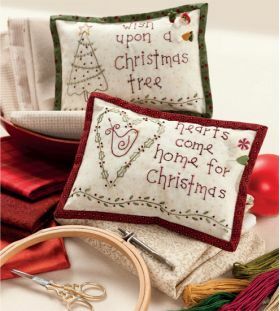 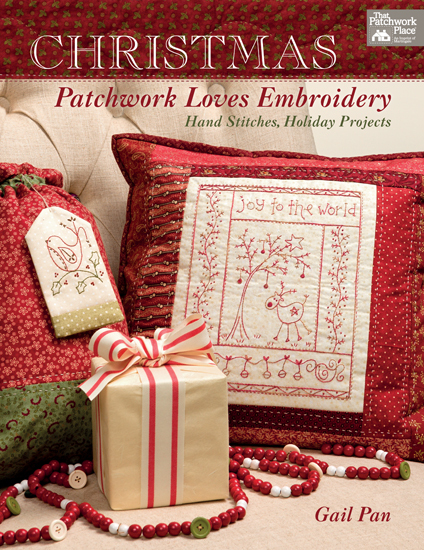 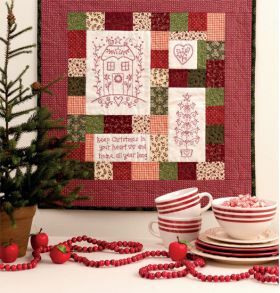 All projects are cheerful and uplifting, with templates and embroidery patterns to trace and easy to follow instructions and tips.